Smoking significantly increases the risk of oral cancer and periodontal (gum) disease. As experts in oral health care, oral health professionals are ideally placed to identify patients who use tobacco and start the conversation about quitting. To help patients quit smoking, oral health professionals are encouraged to promote best-practice principles for smoking cessation, which includes a brief intervention, partnered by behavioural intervention (supportive coaching), and the use of Nicotine Replacement Therapy or other quitting medications. Based on a simple, 3-step framework of Ask, Advise and Help, the Smokefree Smiles project provides training and support for oral health professionals to provide brief interventions, as well as initiate referrals to Quitline. Since 2014, training in smoking cessation brief interventions has been delivered to more than 400 oral health and support staff – initially through 12 pilot sites, and the Latrobe Health Innovation Zone in Gippsland. Overall, there has been resounding support that the 3-step framework is both acceptable and feasible in both private and public oral health settings. DHSV is continuing to develop smoking cessation support strategies with the Smokefree Smiles Training Package. 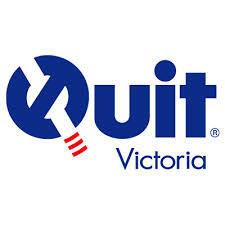 Smokefree Smiles is funded by the Department of Health and Human Services, and is a partnership between Quit Victoria, Dental Health Services Victoria, the Department of Health and Human Services, and the Australian Dental Association Victorian Branch Inc.